NOW YOU CAN HAVE IT ALL!! 3000+ sq/ft TWO STORY, 3 BEDROOM, 2 1/2 BATH HOME WITH 3CAR GARAGE. 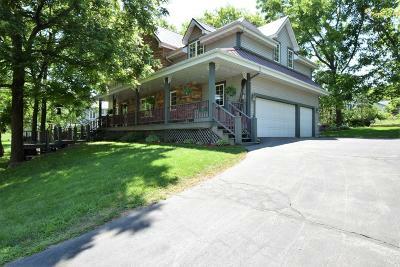 HEATED ABOVE GROUND POOL AND DEEDED ACCESS ON THE FOX RIVER WITH PIER AND BOAT SLIP!!! This great family home has cathedral ceilings, open floor plan, masonry fireplace, floor to ceiling. 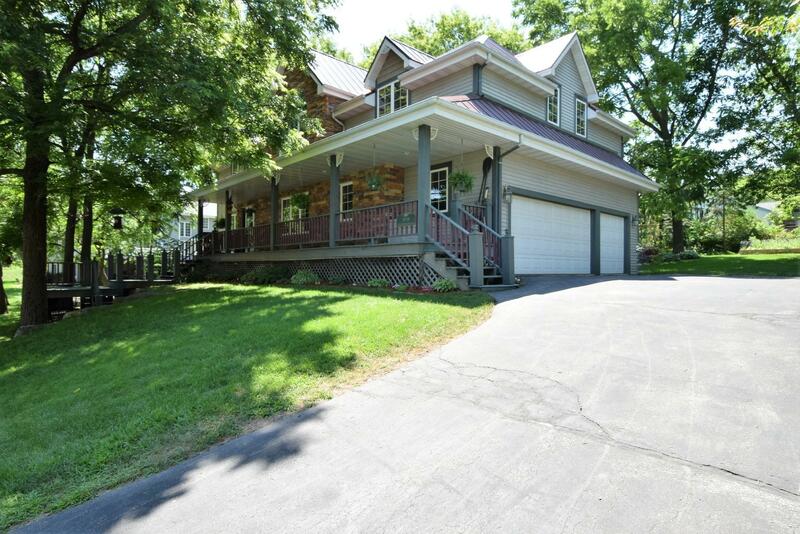 Hardwood floors, custom kitchen, granite countertops, breakfast bar, formal dinning room and main floor laundry. Large master bedroom with separate shower and jetted tub, walk-in closet. It doesn't end there. Entertain inside or out. Wooded, professional landscaped lot with massive deck and patio just off the walkout lower level. New ALL METAL lifetime roof.